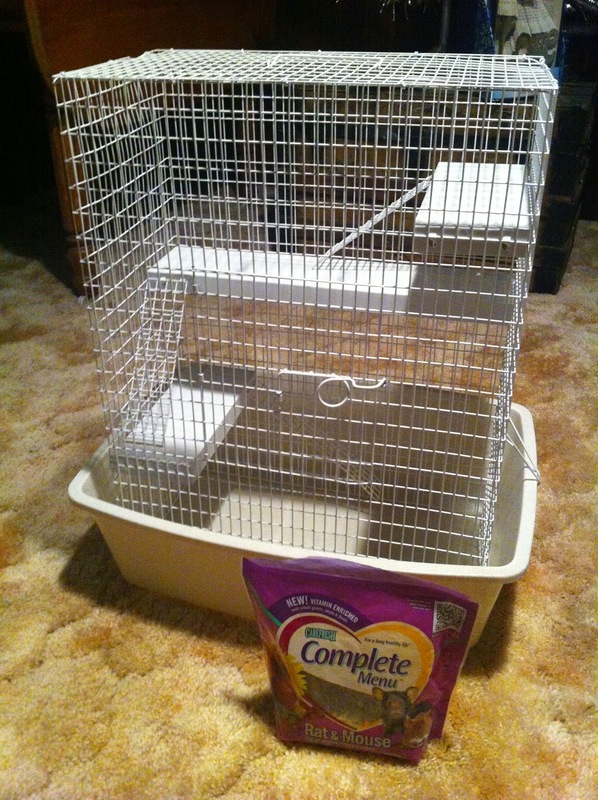 I've been collecting rodent cages, so I cleaned up all the ones I'm not currently using and I'm going to get rid of them. I got a rat back in... oh, October, I think? I started out with him in the purple and white cage, which the family I nanny for had given to me to find a home for. It was their daughter's late gerbils' cage, and was clearly too small for my rat, so I ended up getting the larger white cage from a friend. 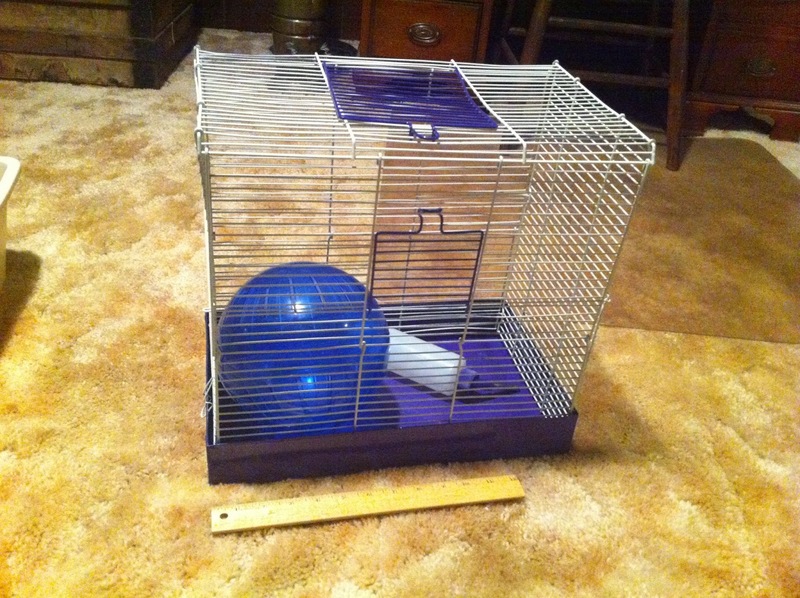 That was still a little small for him, so I got an even bigger cage, and my friend doesn't want her cage back. 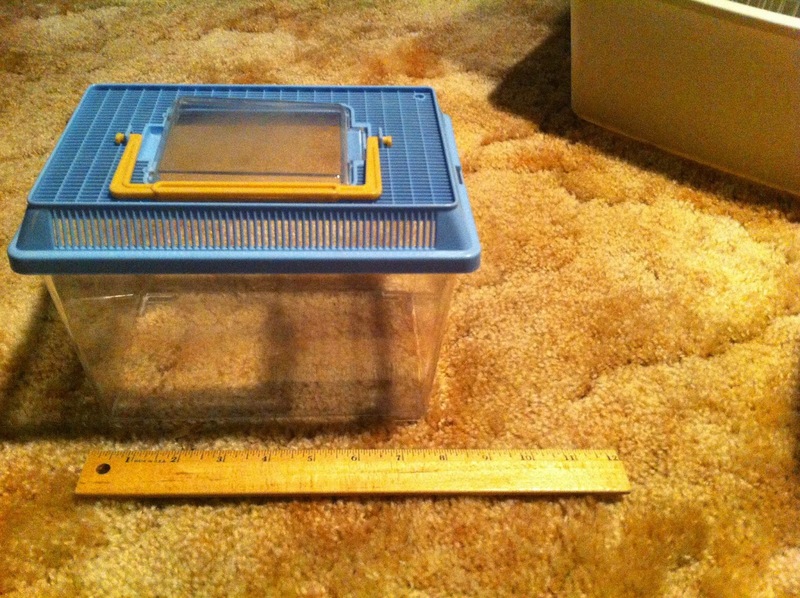 The little carrying cage I'd had when I was younger, and took to house the crickets for my nanny kids' praying mantis when my parents sold their house a few months ago. I don't have a use for any of these, and I could use the money, so I think I'm actually going to list them on Craigslist and see if I can make a few bucks -- maybe enough to put toward something else for my rat! The rat foot in the last picture I was going to throw in with the cage, but I might just toss it, as I'd feel guilty giving it to anyone -- it's not that great quality, and has both alfalfa pellets and dried corn in it, which rats actually shouldn't have. I'll probably start by selling the gerbil/hamster stuff. The larger white cage I feel a bit guilty about selling, since a friend gave it to me, so I may hold off and ask her again if she's sure she doesn't want it back!